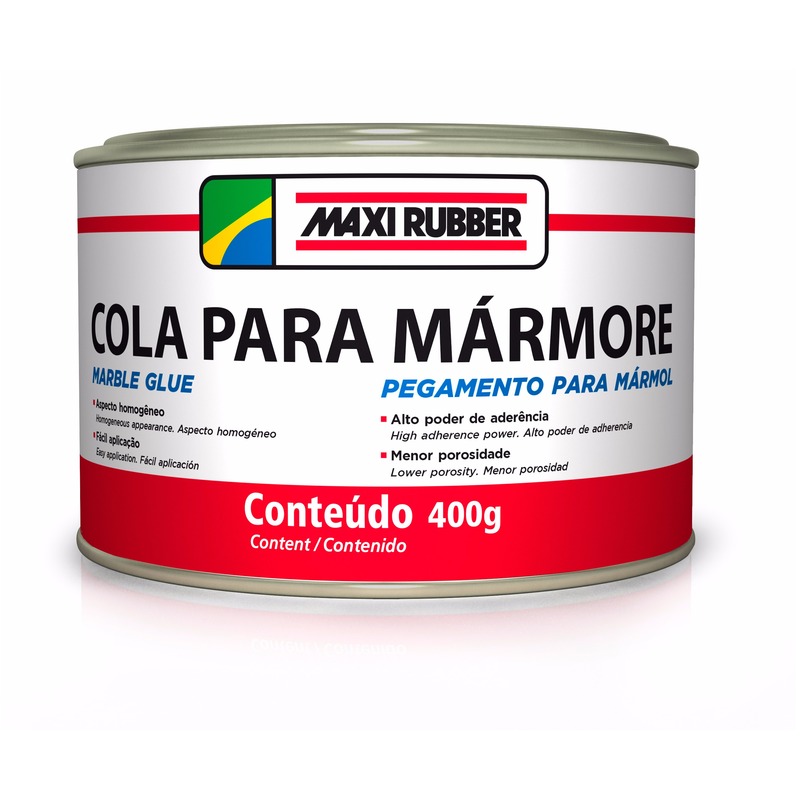 Indicated for gluing or correcting small imperfections on marble and granite. • Homogenize the Marble Glue before its application. • Add 1 gram (20 drops) of the catalyst for every 100 grams of Marble Glue. OBS. : The time elapsed from the mixture of the glue with the catalyst to its application should not exceed 3 to 5 minutes. • Apply the glue catalyzed using an applier (celluloide). • In marble, granite, and furniture junction: apply the catalyzed Glue and assemble the parts together. • In vat tank lead covering: apply an extra layer of the catalyzed Glue on the vat tank and the marble/granite. • After the drying, perform the sanding with dry sanding sheet (80 - 150 grit sanding sheets and final with 220 - 320 grit sanding sheets). • Use a support for the vat tank until the Glue is dried out (24 hours for drying out of the mass and 72 hours for full drying).